Hello my lovelies I hope you all had a great week! I have been quite busy, I had an NCEA drama assessment on Thursday and I was stressed all the week for that and then my sister came up from down south and visited so it was so awesome to see her again! But it's Sunday, post day, so today I wanna get personal and talk about something that I've been thinking about all week and that is slowly overcoming my fear of taking photos of my dolls in public. Since I started this hobby back in 2014, I have been afraid of what people will think of me and my love of dolls. To be honest I was insecure. I have social anxiety anyway and just the thought of people seeing me and judging me would send me in to a frenzy. It got so bad that I would only go outside next to my back door to take photos for, I kid you not, for a maximum of 3 minutes. I actually started hated taking photos of my dolls because I was so uncomfortable and I didn't know why?! I should be enjoying this should't I?! Well I had a few months at end of last year and the first half of this year to step back from doll photography due to my illness and I actually moved towns to a larger city. And I decided that it would be a new start for me, a clean sheet. 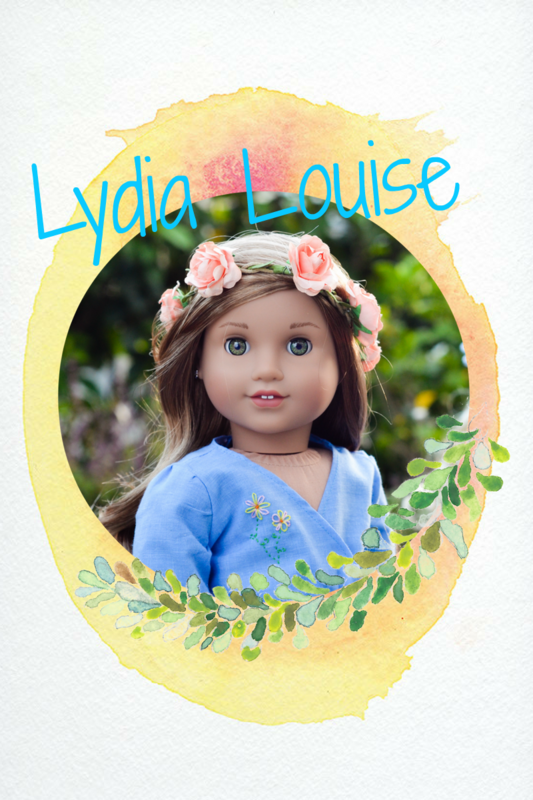 Here I would pursue my passion of doll photography and wouldn't care what people thought of me, I was sick of my anxiety overriding my love for the hobby. It took a while for me to pucker up the courage, I started off taking pics in my garden but it's very exposed and people can see in. And in the past if someone walked past I would have bolted inside, I'm not joking. But I forced myself to stay still and keep taking photos whenever someone walked past and you know what?! It's not too bad! People just walk past! They don't stare throwing fruit at me or shouting horrid things at me, they might smile to themselves and carry on their way. One thing that has really helped me is, now bear with me, is having my younger sisters with me. I have 2 younger sisters; one is 9 and the other is 7 and they love taking photos with me! They make awesome reflector holders guys! I just have to to let them take photos from time to time or they get cranky and walk off! But having them with me really helped me keep calm when I was in public and I didn't feel as if everyone was looking at me. Obviously they don't care they just wanna take photos with Lydia's camera! But do you know what.. You will be proud of me. I have also stepped TOTALLY out of my comfort zone and went to a local park and took photos! Like many many people go to this park. The reason I'm writing this post is because you may be in the same boat as me; you aren't alone. 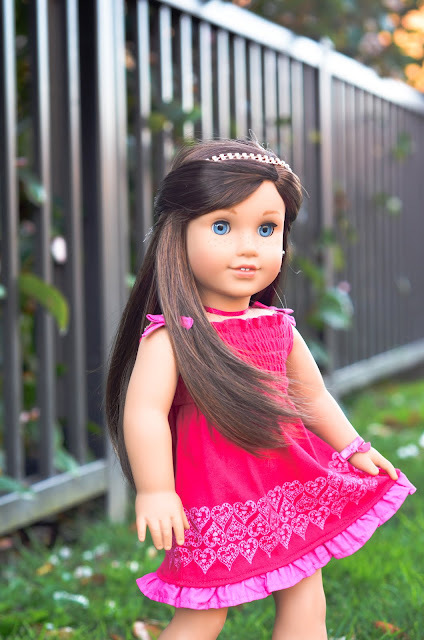 It's totally normal to be afraid of what people will think of you and your dolls. I think that many young girls (and some guys, shout out to guys doll collectors!) are in this hobby and of course at that age where they are insecure, and are not really sure what they want the world to think of them. I was like that at 14-15 whatever, but I have been through a bit these this past year and I LOVE dolls. I'm not ashamed of it, I shouldn't be. And I want it not to be a secret, I will happily share it if someone asks! I enjoy taking photos of them and blogging about them and no one should feel that society will shut them down for what they love. It will be hard to forever eradicate the fear because it was so strong in me, but these are baby steps and I want to thank you guys for supporting me either on here or instagram. 1. Set yourself mini goals. In may be taking photos by your letterbox not round the back where its more private, start off small. 2. At the beginning have someone with you if that makes you feel better, like a younger sibling or a parent to hold something and look important lol! 3. Document your progress! If you have a blog or a AGIG account tell your followers what your doing and post the photo and how you felt and such! This will keep you accountable, I will be doing the same on here! Well my lovelies, this post is getting rather long but I feel it needed to be said! Have a lovely weekend and see you back here next Sunday! These photos are so amazing Lydia!!!!!!!! Aw thank you so much Bella! Don't her eyes look stellar?! I'm really loving them! Those are gorgeous pictures! Grace is gorgeous! Lydia, that was exactly what I needed! I've been wanting to go out and take pictures but I was too scared. I'd take them in my front yard, but even then, the neighbors would drive by or walk by and give me strange looks... but I'm going to go take more pictures soon!!! Thank you for this post! I'm a little (okay a lot!) scared of taking pictures out where people can see. I'm going to try again! That's why I wrote it! It's totally normal to be scared! I am still scared a lot but this is just something to encourage me and you to take small steps that will eventually lead to bigger steps to overcoming this fear! Good on you for trying again sweetie! I cannot wait to see the pics! Tag me in them will ya?! 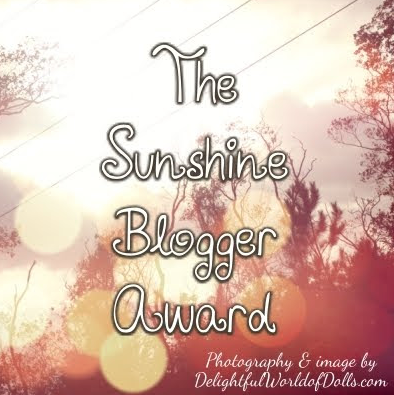 That was such an inspiring blog post! I AM so impressed. These dolls are beautiful and everyone should rightly feel proud sharing this with the world. If it's acceptable for people to showcase their pets, it's just as acceptable to showcase our dolls! Thank you so much Alison! I am very very proud to share them! I put so much effort into my photograhy and I love sharing with all you lovely people! What a great point?! 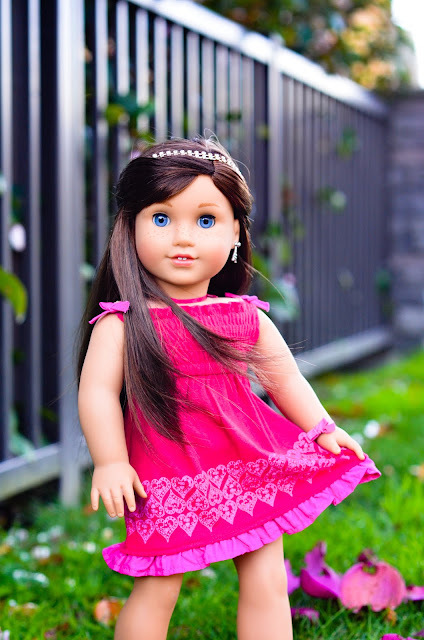 If it's ok to share crazy cat videos why isn't to ok to share a photo of a doll?! Hi Lydia! I just discovered your blog! 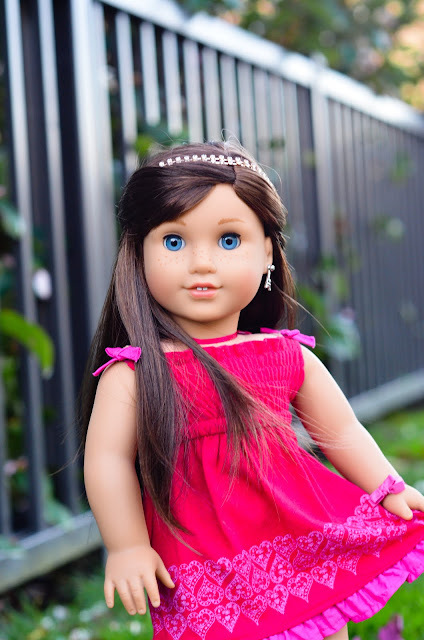 It's amazing, I love your beautiful dolls and your posts. I have a suggestion. 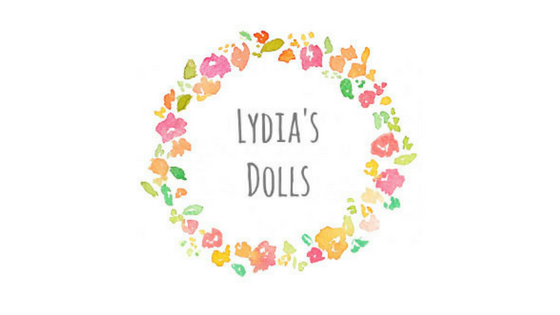 Maybe you could make a meet your dolls page? Hi Lydia! Grace looks stunning. The colors in these photos just pop! :0) This post was exactly what I needed. I'd been thinking of going to a small park area in my neighborhood but wasn't sure I would because of how many people walk through there. This post has really helped me decide to just do it. Hiya Zoë! Thanks so much hon! Oh I'm so glad! You go out there and take those pics! You can do you it! I cannot wait to see the result! We're here supporting ya! I just found your blog via your Small Dolls in a Big World comment. It's a beautiful design!